Two separate effects happening during the same step: who chooses the order? Can I immediately cast the spell I drew off of Fevered Visions. 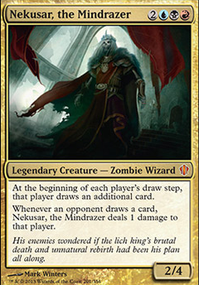 Fevered Visions with new planeswalker rule? Needs more Fevered Visions ? 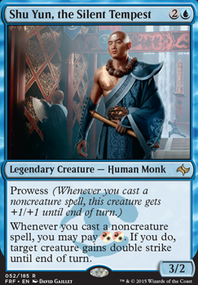 Have you considered Shu Yun, the Silent Tempest in this build at all? 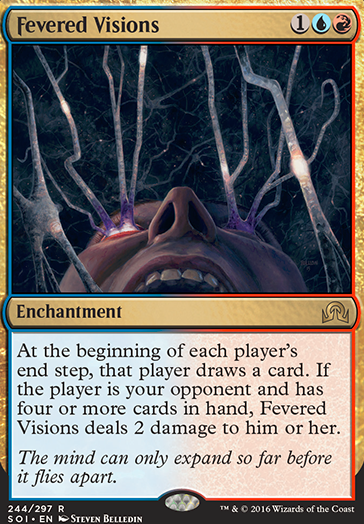 I would cut Fevered Visions , without enough other life taxing effects it will probably just help your opponents answer your combos. 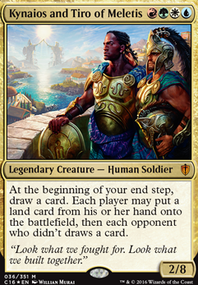 The tap lands are all pretty bad in this kind of deck. 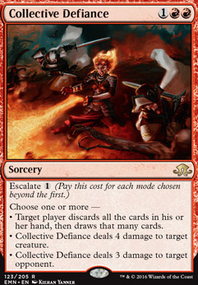 I would suggest cards like Spirebluff Canal , Cascade Bluffs , Ash Barrens , Shivan Reef , and maybe Exotic Orchard if you have other UR decks in your meta. 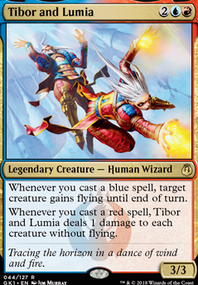 Ral, Izzet Viceroy will often get killed. If you really like him, then keep him, but I do not like him here. I think that Ruby Medallion and Sapphire Medallion would be interesting here for extra value. I second Primal Amulet Flip. I would cut Sky Diamond , Fire Diamond and Dreamscape Artist . They are either slow or do not actually fix you.